Deep Dish Red Pepper Explosion Pizza! Who says tomatoes are a vital to a good pizza? Red pepper paste, particularly the one from Olive Branch, is the new tomato sauce. There are no tomatoes on this pizza, just lots of delicious red peppers (red pepper paste, roasted red peppers from a jar and fresh red peppers) as well as mushrooms, green and black olives, onions and mozzarella. Many of these ingredients are leftovers from the Cheese and Mushroom Frittata recipe so it’s an ideal dish to make in the same week. I make fresh pizza dough in my breadmaker (it only takes 45 minutes) but ready-made dough or store-bought (pizza crust mix) could do. My trick is to leave the dough to rise in the breadmaker for about an hour then not knead, flour or roll the dough after I remove it. This results in a fluffy and thick crust ideal for a deep dish pizza. 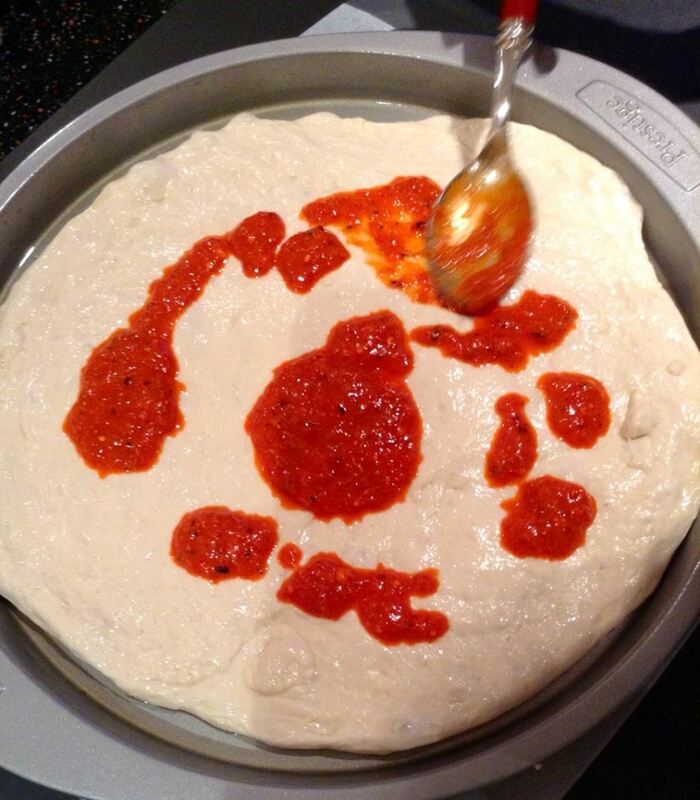 Remember to coat your hands with some olive oil so the dough doesn’t stick when you handle it. A frittata is an omelette of Italian origin that is thick, almost like a crustless quiche. It’s perfect for brunch, lunch or dinner. You can put almost anything in a frittata and it’s a great way to use up any leftovers. 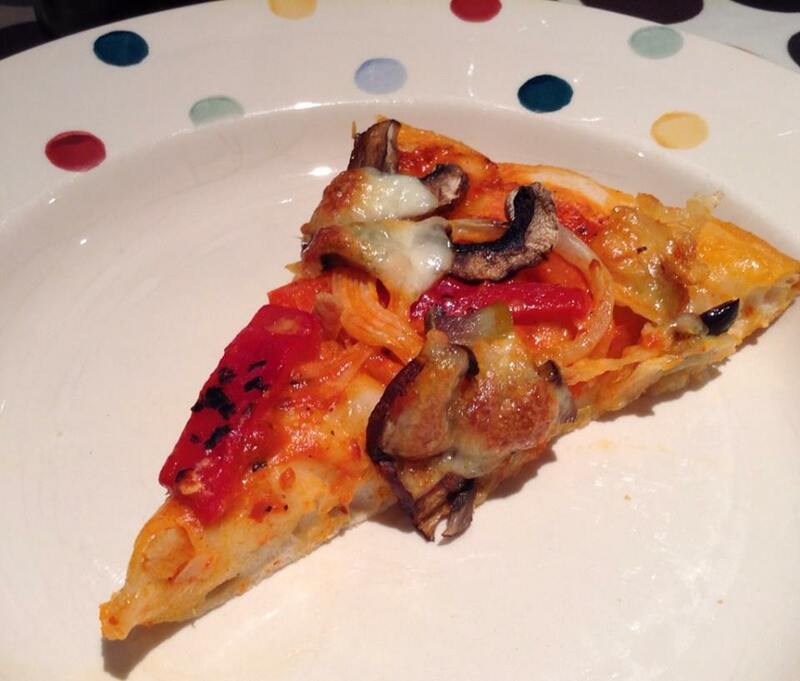 My favourite ingredients are mushrooms, onions, red peppers, cheese and parsley. These ingredients not only go very well together, they lend a beautiful vibrant colour to the dish! It looks like a lot more work than it actually is. 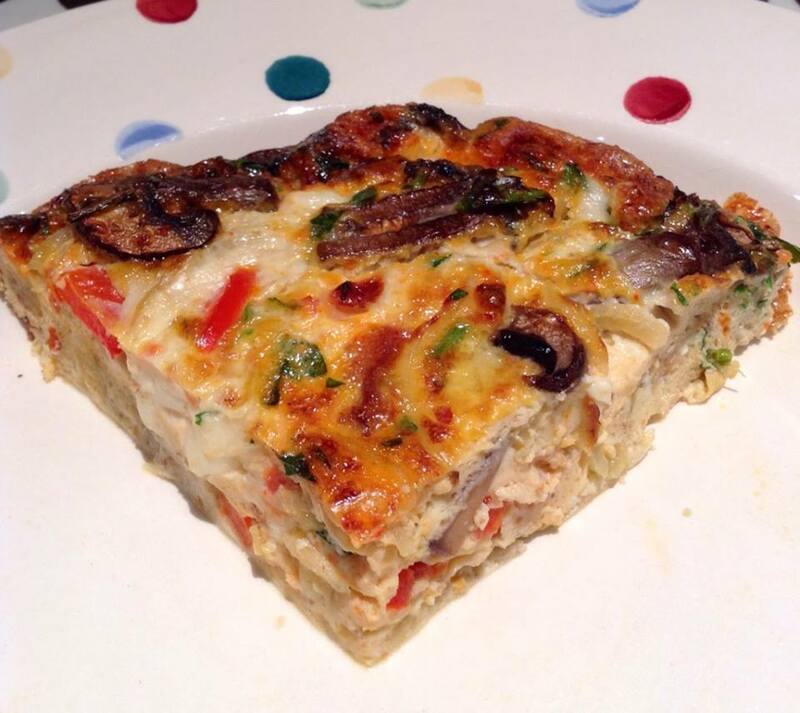 Here’s how to make this colourful and tasty frittata. 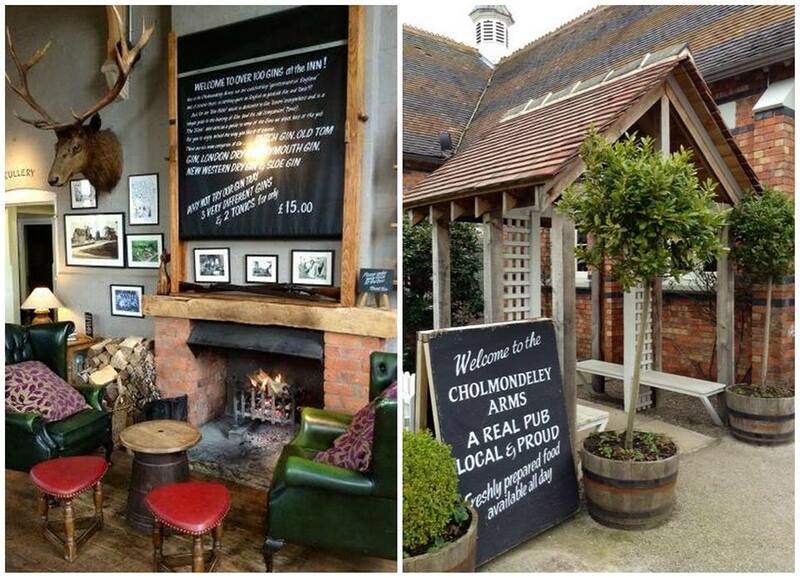 I’ve been to The Cholmondeley Arms several times since I first discovered it in 2012 on a trip to Chester. 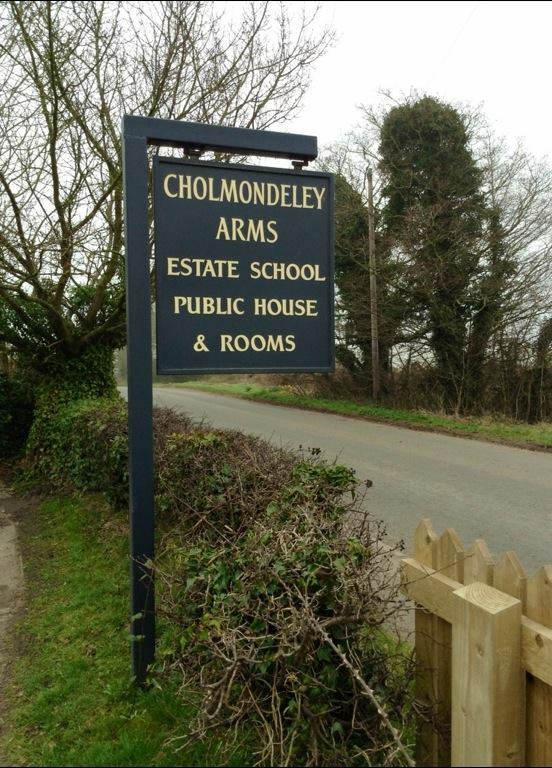 It’s located in the village of Cholmondeley, near Malpas in Cheshire. I always make a point to visit this picturesque pub for lunch when I am in Chester or Liverpool as it is on the way back to Cambridge. 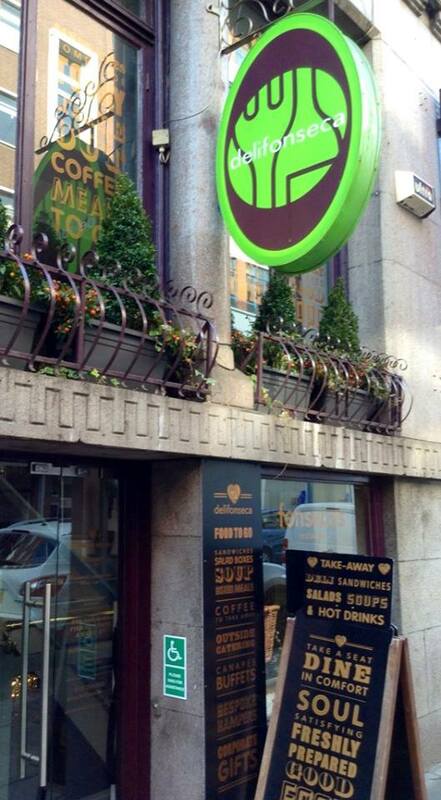 Paulo and I recently returned to the ‘Chum’ for a much anticipated lunch. 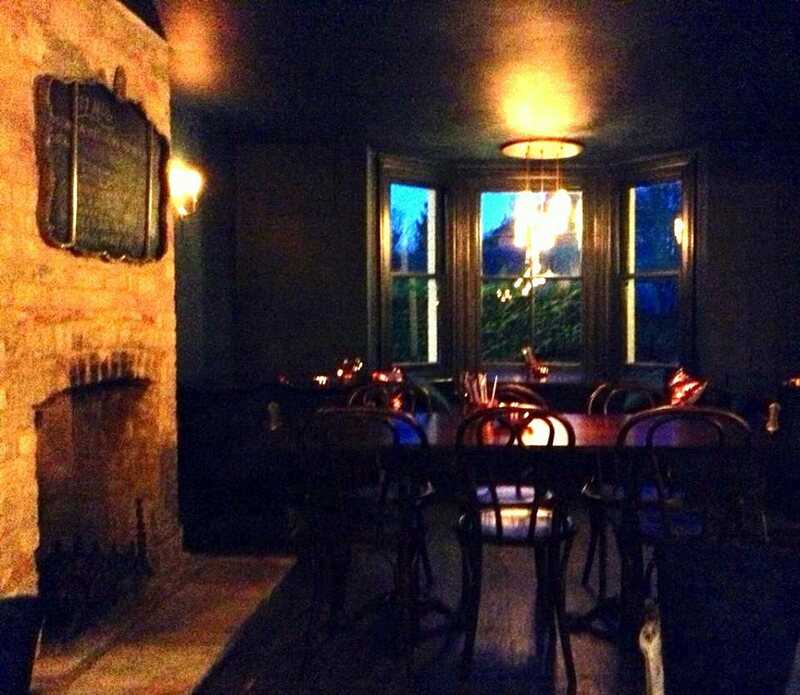 It’s one of my favourite pubs as the food, drink and ambience are quite special. 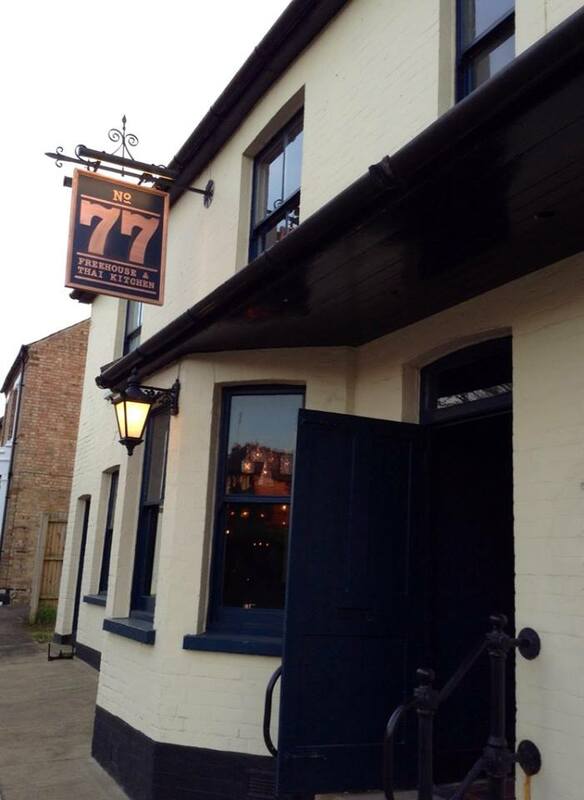 The pub is a former Victorian schoolhouse built in 1862 and was first converted in 1988. It was refurbished a few years ago by the new owners who celebrated its past as a schoolhouse. 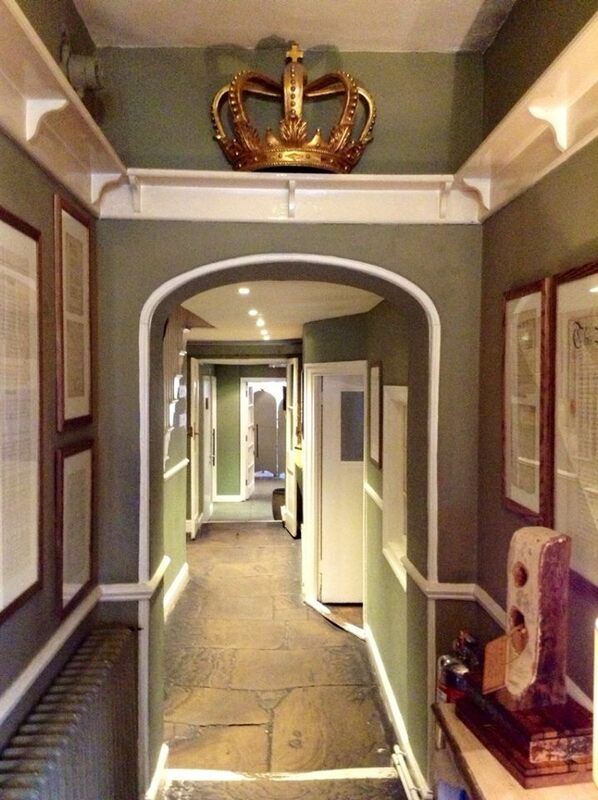 The result is a beautifully decorated and charming place to spend a few hours over great food and drink. 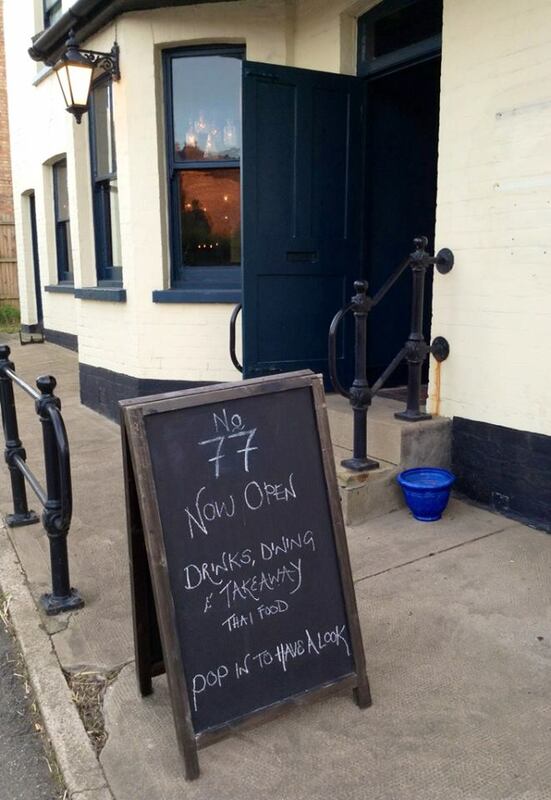 They have a dizzying selection of gins and some excellent local beers. The menu consists of freshly made classics that are expertly prepared and presented. 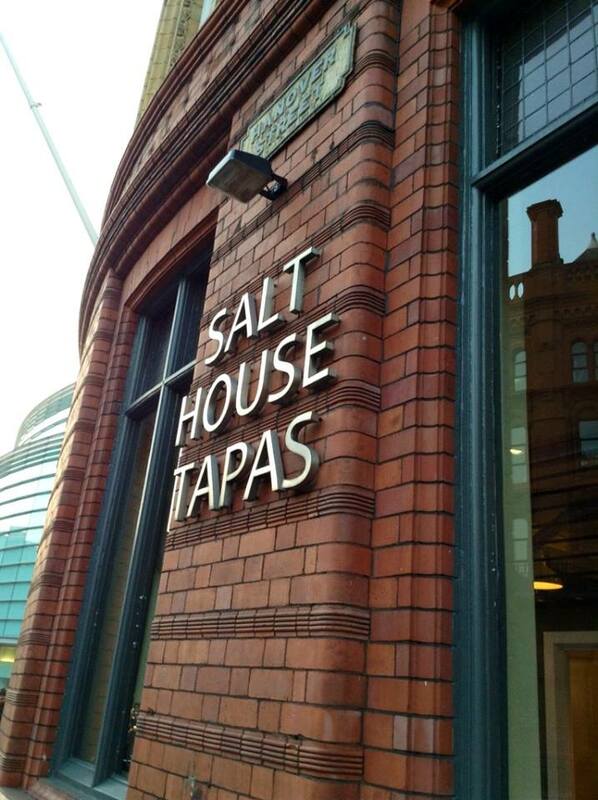 I have been struggling to find decent tapas for quite some time so when I found out I was going to Liverpool I knew I just had to go to Salt House Tapas as I had heard great things about the food. I had no idea what to expect but the imposing listed building which houses the restaurant made a good first impression. I never had tapas in Spain and don’t really know what traditional tapas are supposed to be like, if there is even such a definition. However, the emphasis at Salt House Tapas is delicious, expertly prepared food with fresh ingredients. They certainly delivered! The restaurant’s layout and close tables lend a wonderful convivial atmosphere. The eating of tapas is very much a social activity. These are little plates that are meant to be shared and enjoyed together. 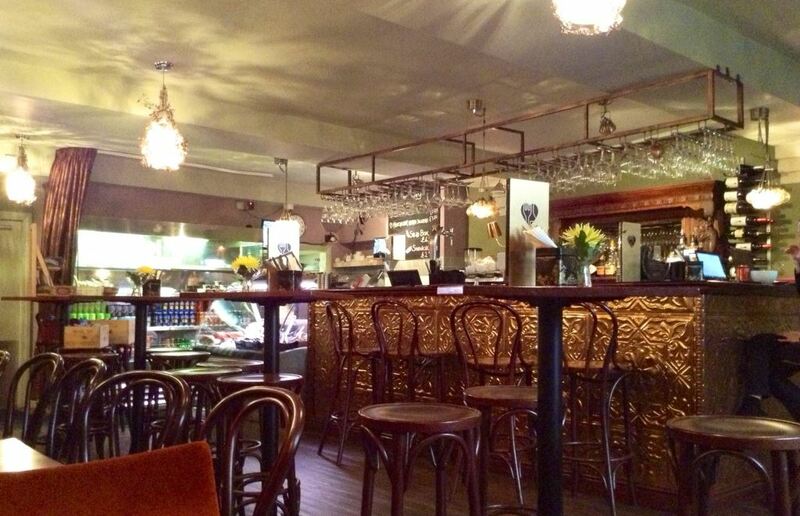 Delifonseca is the beautiful café bar downstairs from celebrated restaurant Fonseca’s on Stanley Street in Liverpool. This was the perfect place for an afternoon break as we only wanted a few nibbles, not a sit-down lunch. This area used to be the restaurant’s deli but it has been converted into a chilled-out wine bar, complete with upcycled red velvet theatre chairs, elegant chandeliers, embossed copper bar and ornate metal stools. It is also a café offering freshly made sandwiches, soups, salads and various items from the mini deli counter, to eat-in or take-away. The deli counter, although small, is visually appealing and boasts a fresh and colourful display of the delicacies on offer. 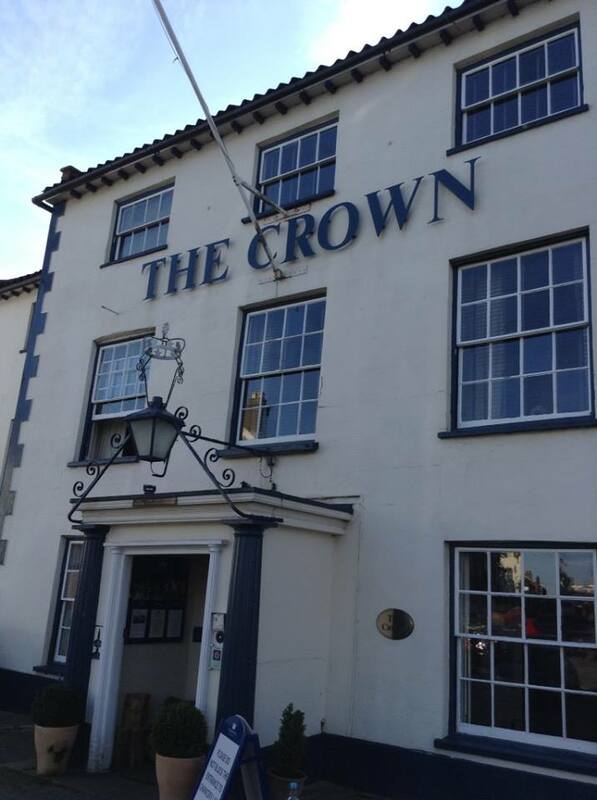 The Crown Hotel in Wells-next-the-Sea is one of the luxury hotels in coastal Norfolk owned by The Flying Kiwi Inns. They are known for serving some excellent food as the restaurants have New Zealand Master Chef Chris Coubrough at the helm. My husband Paulo and I had these places in our sights and we finally decided on an overnight stay and dinner at The Crown Hotel. 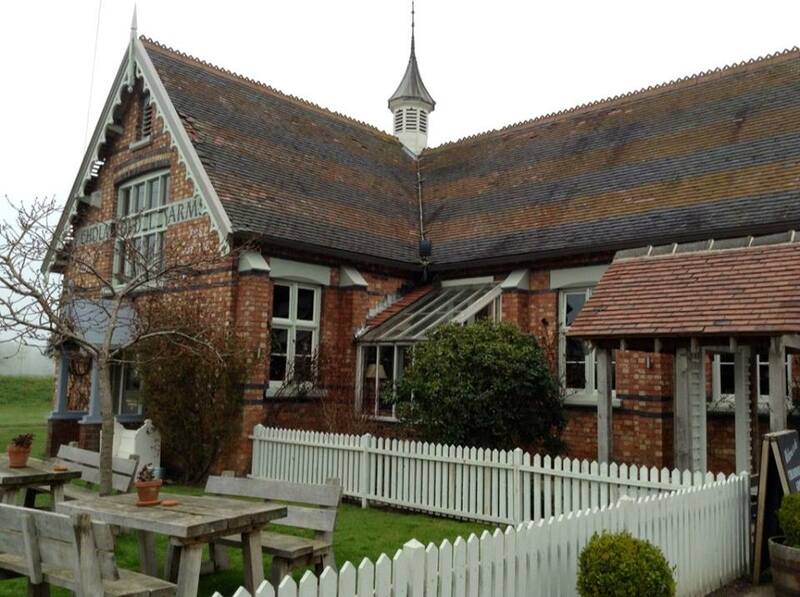 This charming former coaching inn overlooks The Buttlands, with its spacious village green and majestic trees. Picture perfect. The magnificent golden crown at the entrance assured us of a regal experience as we eagerly explored the rest of the hotel. We were impressed by the pleasant bar with its cosy little nooks in which to unwind, the bright and cheerful orangery and the more formal dining room. After checking in, we were shown to a spacious deluxe room with a comfy sofa and bed, including an abundance of pillows to help us settle in and relax.